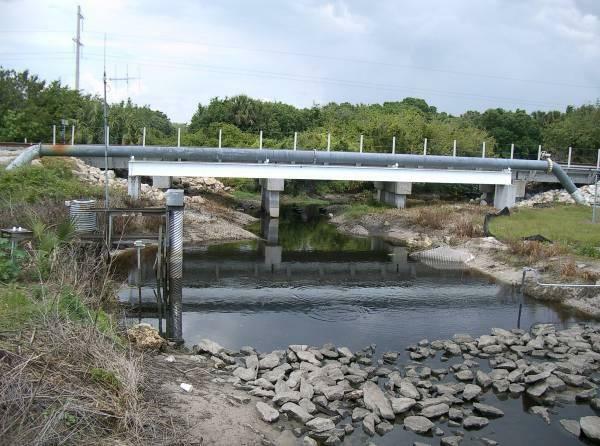 From 2000-2004, a demonstration project was conducted in Lettuce Creek, just upstream of the point of discharge into the L-63S Canal, to evaluate the phosphorus reduction benefits which can be realized by removal of tributary sediment loads. Phase I - "Preliminary Evaluation"� work efforts were performed by ERD and included: (1) evaluation of the historic and current hydrologic characteristics of Lettuce Creek; (2) installation of hydrologic and level recording equipment; (3) collection and analysis of baseflow and stormwater runoff samples; (4) evaluation of particle size distribution for phosphorus in stormwater and baseflow; (5) evaluation of sediment characteristics and potential for transport during storm events; and (6) development of a conceptual design for a side-by-side comparison of sediment removal units. 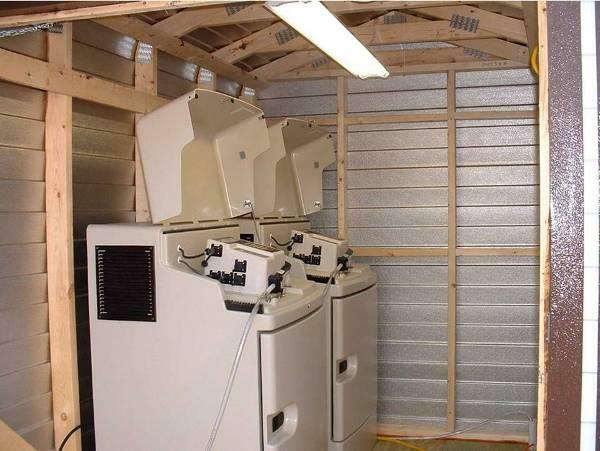 Two sediment removal technologies were evaluated during this study, including Continuous Deflective Separation (CDS) and Tributary Sediment Trap (TST). A design for the two units was developed by ERD. Construction and installation of the CDS and TST units was conducted from February-April 2002. The units were constructed side-by-side, adjacent to Lettuce Creek, with a single 30-inch CMP intake pipe extending into Lettuce Creek. 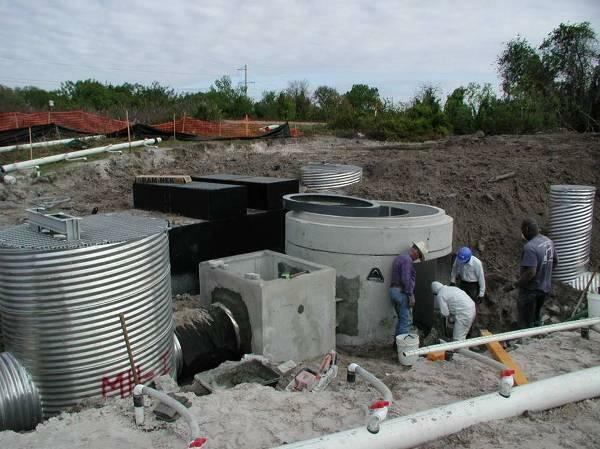 A series of structures and valves were also installed to split and regulate the flow discharging through the two units. Following construction, a detailed monitoring network was installed by ERD which included refrigerated automatic samplers, recording flow meters, water level recorders, rain gauge, and bulk precipitation collector. Efficiency testing for the CDS and TST units was conducted by ERD from October 2002-November 2003 at inflow rates of 1, 5, and 11 cfs. ERD provided all field personnel and laboratory analyses during the 12-month monitoring program. 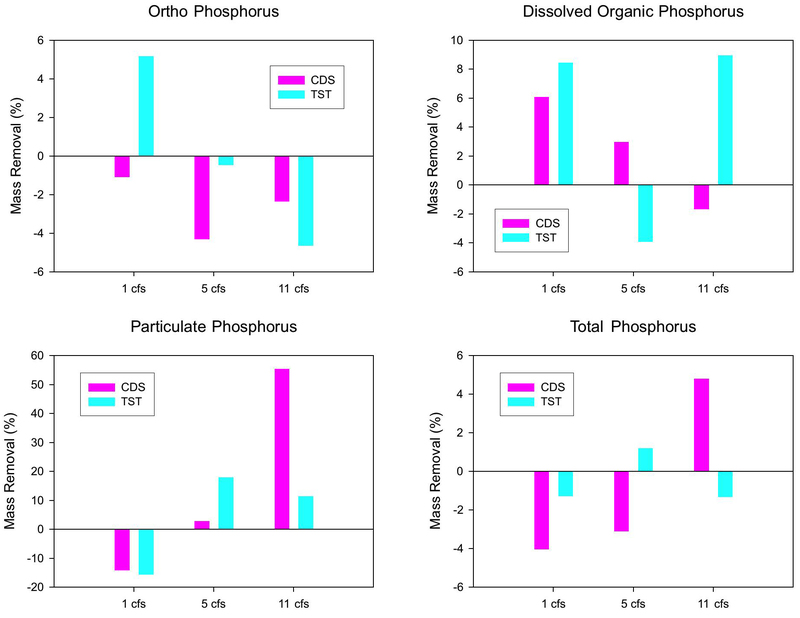 No significant removal of phosphorus species or TSS was observed in the CDS unit during operation at 1, 5, or 11 cfs. During operation at 1 cfs, the mass of total phosphorus increased by approximately 4% during migration through the CDS unit, with a net increase of 3% during operation at 5 cfs and a net reduction of 5% during operation at 11 cfs. Similar removal efficiencies were also observed in the TST unit. During operation at 1 cfs, the input mass of total phosphorus increased by approximately 1%, with a 1% removal at 5 cfs and a 1% increase at 11 cfs.